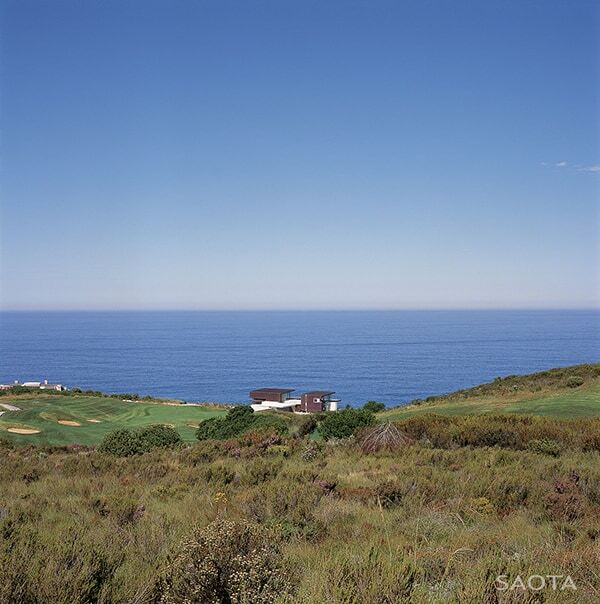 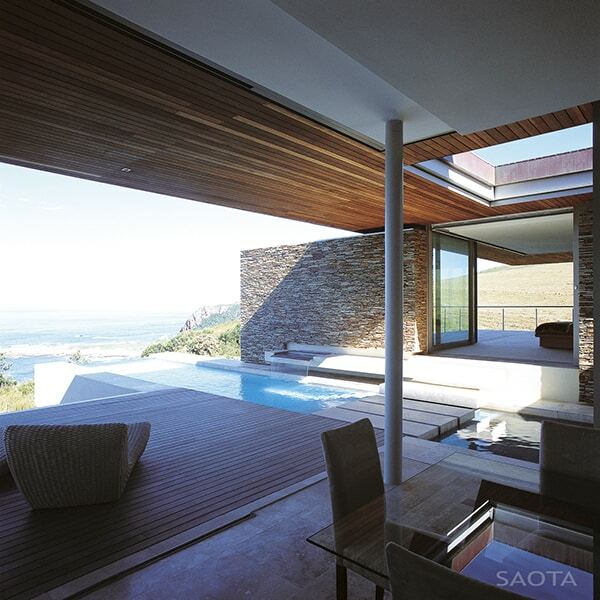 Perched on an exposed cliff with spectacular views, Cove 6 is a beautiful luxury property designed by SAOTA architects, located in The Cove, a private estate in Knysna, South Africa. 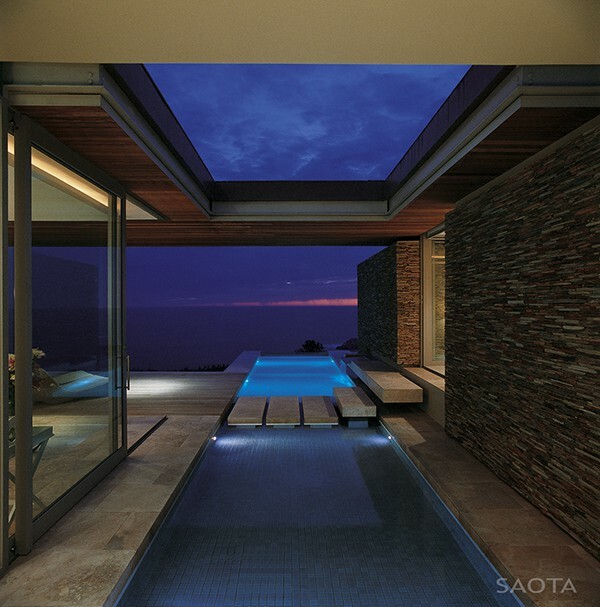 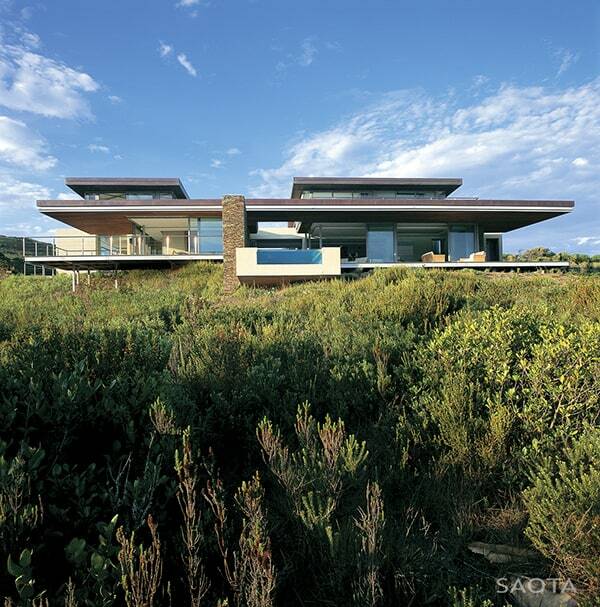 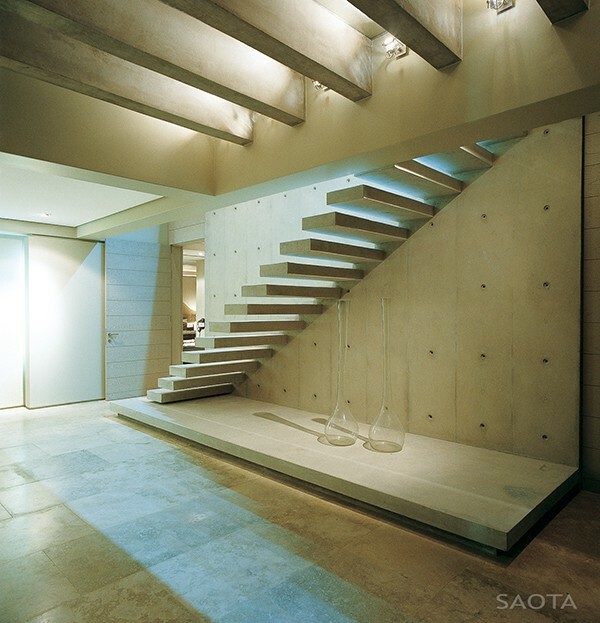 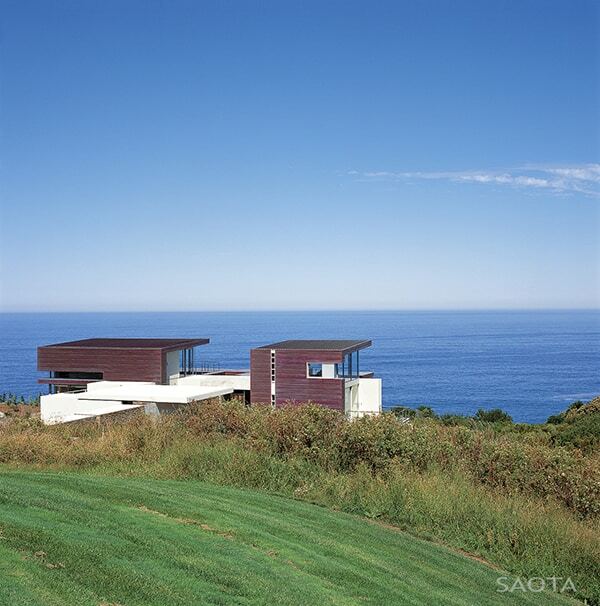 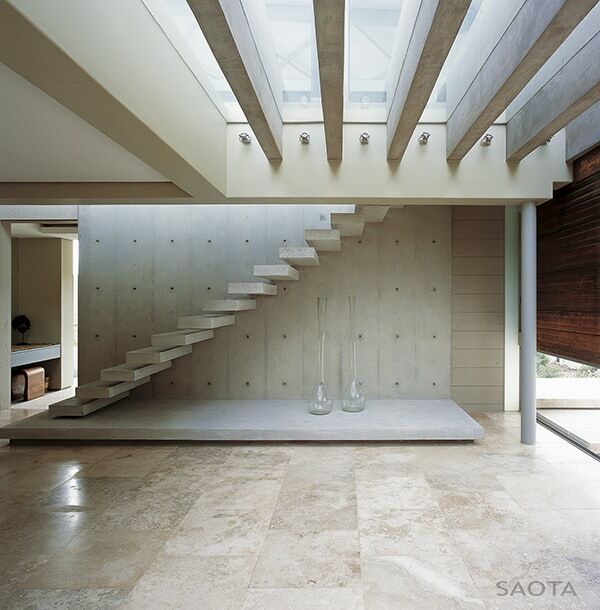 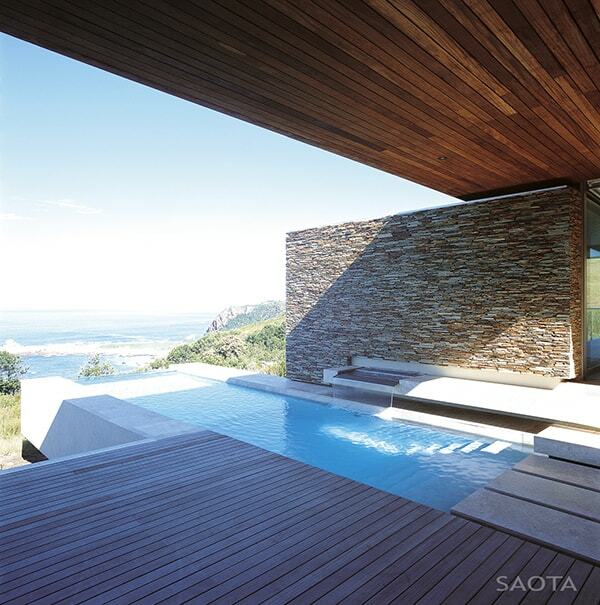 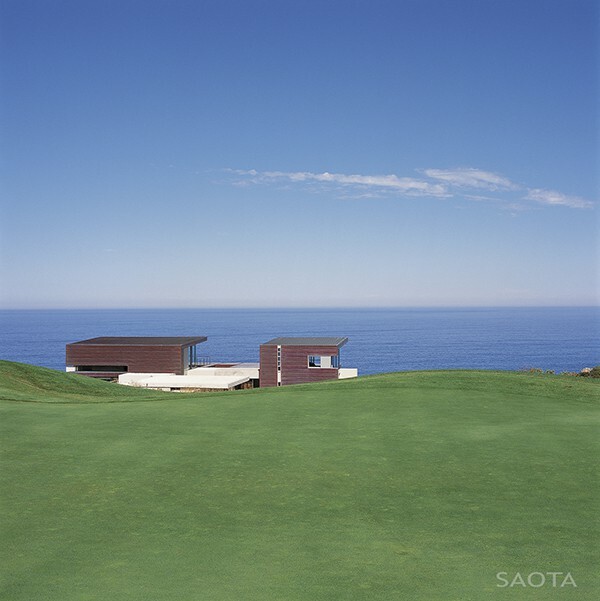 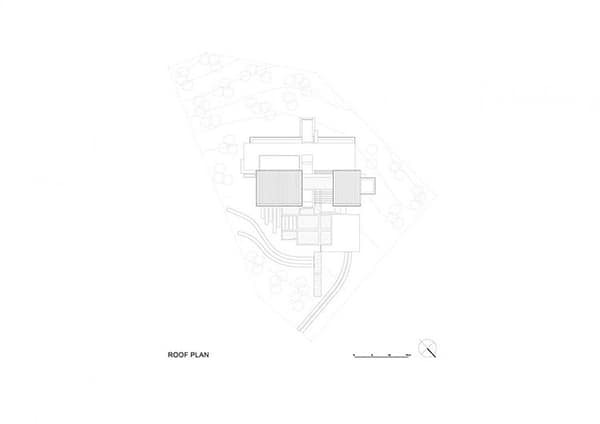 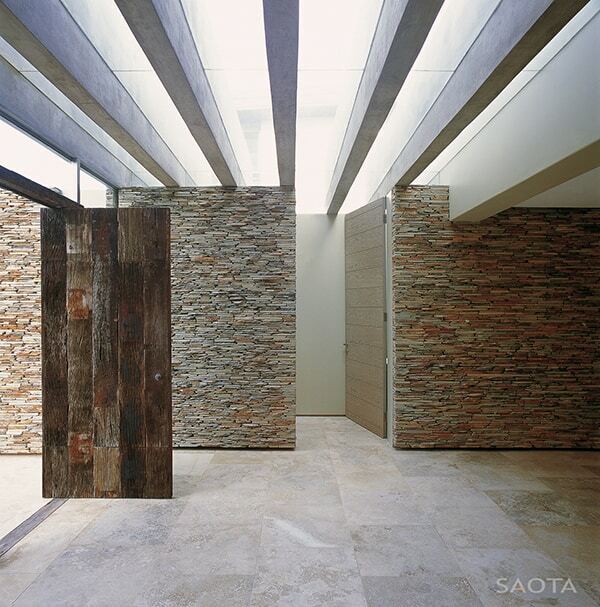 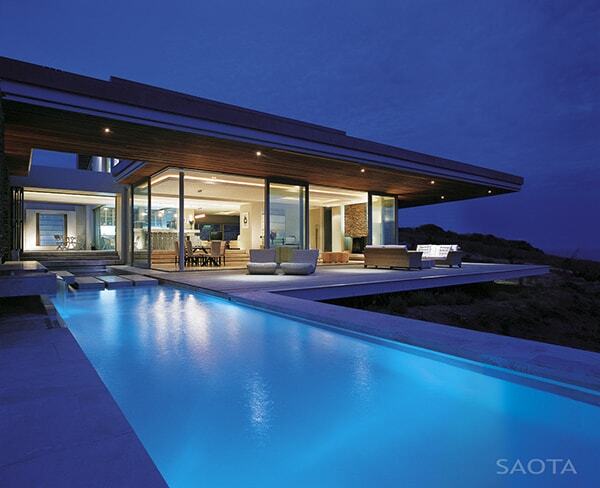 Designed in 2008, the owner’s brief was to design a house inspired by its indigenous fynbos surroundings. 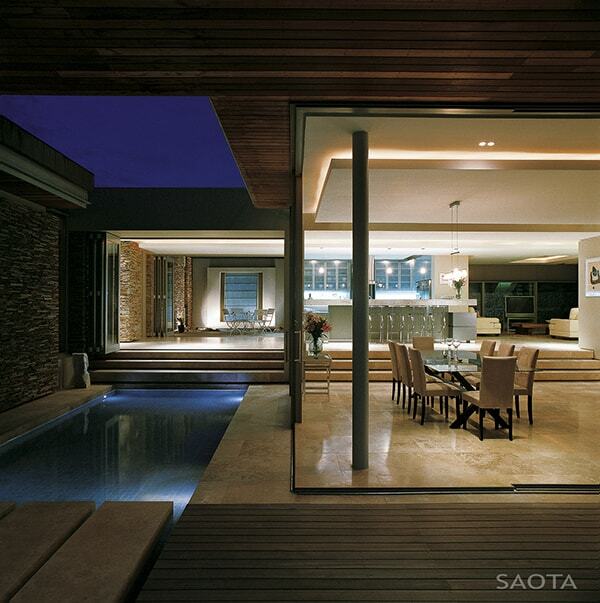 The owners wanted a house with seamless indoor-outdoor living for summer holiday retreats. 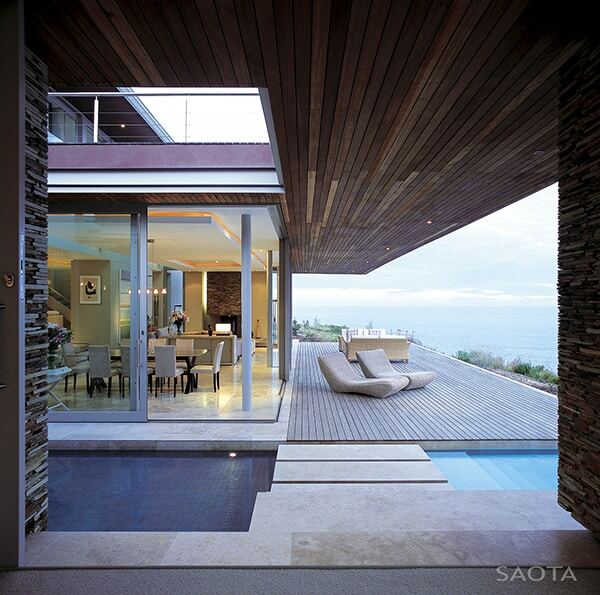 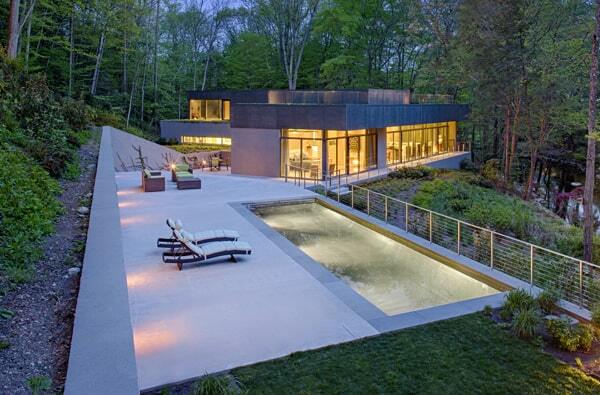 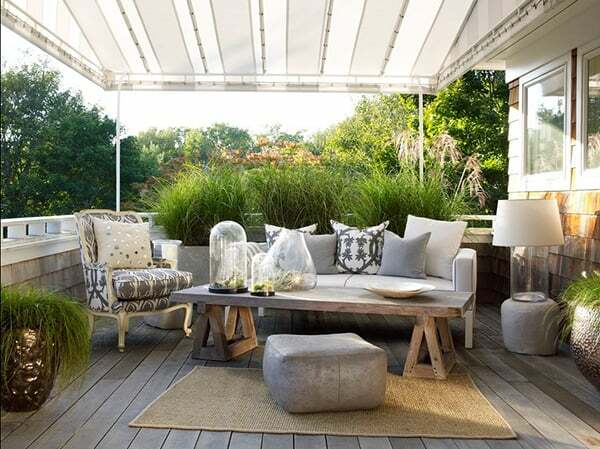 The house had to take maximum advantage of the spectacular views and surrounding landscape. 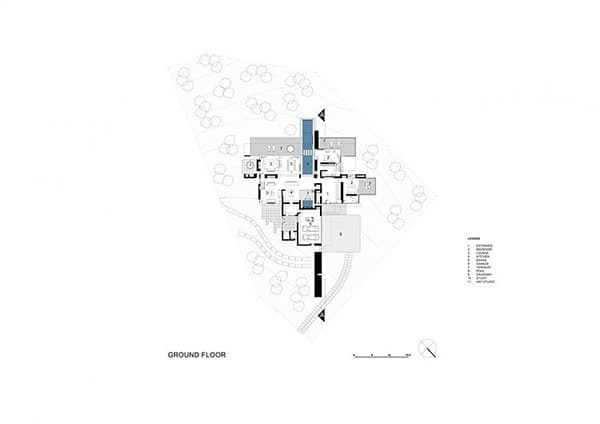 Great care has been taken to promote the natural attributes of the site with the use of materials to complement the natural color palette and textures of the site. 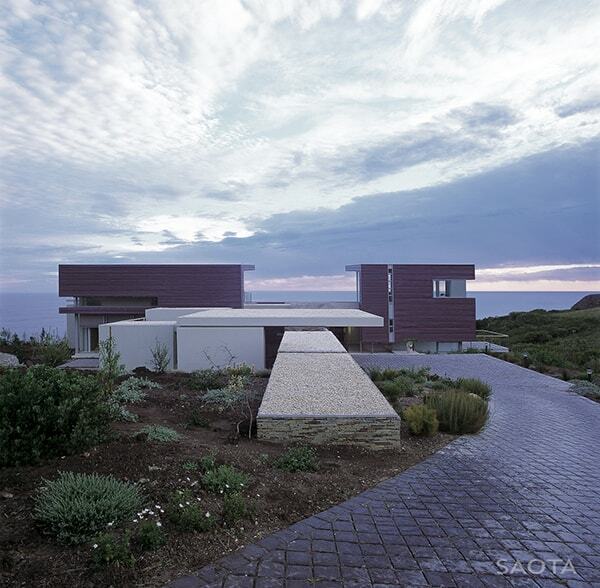 Thus, the design has a cohesive architectural character being airy, yet firmly anchored into the landscape by means of heavy stone clad walls. 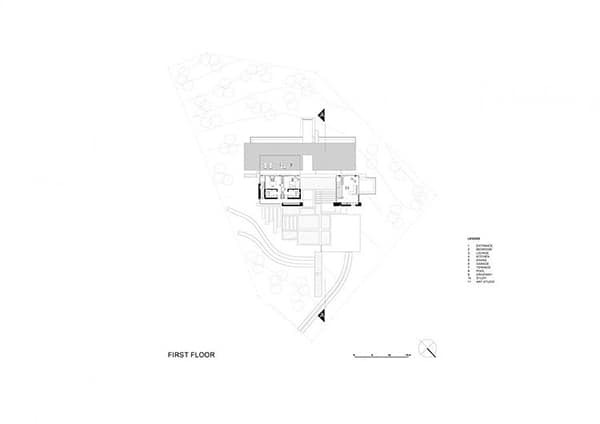 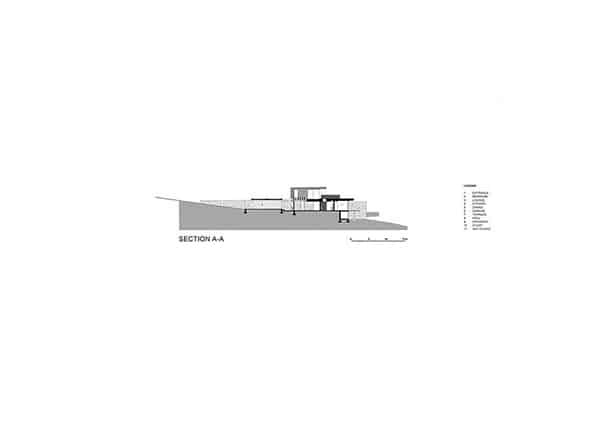 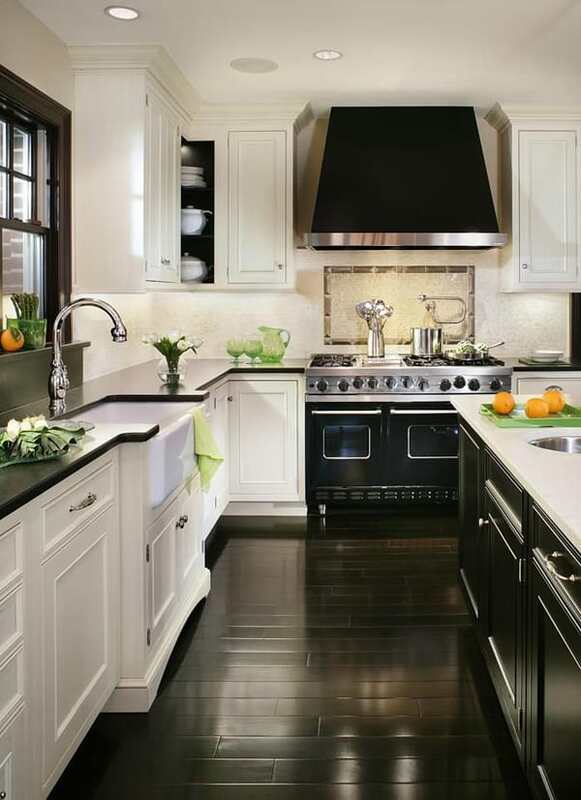 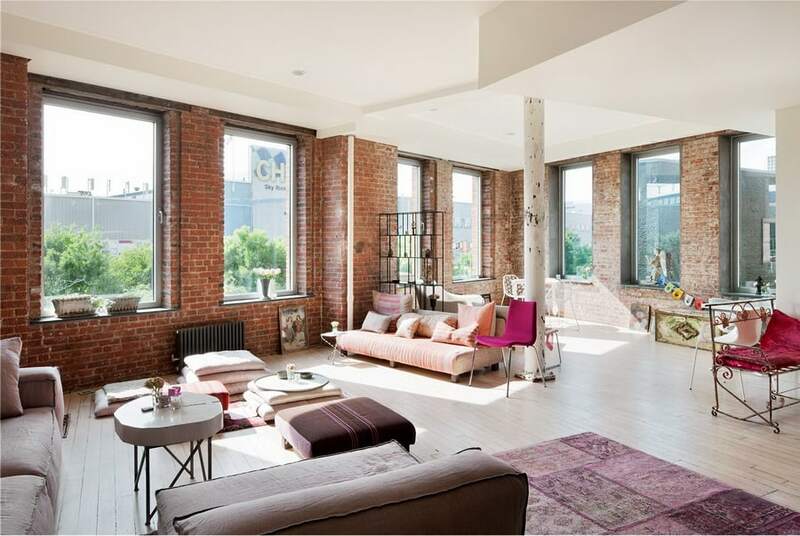 The building fits comfortably into the natural contours of the orientation of the site. 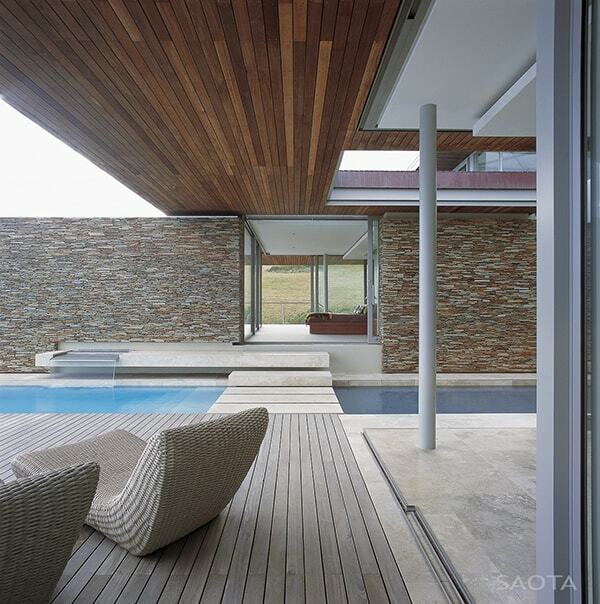 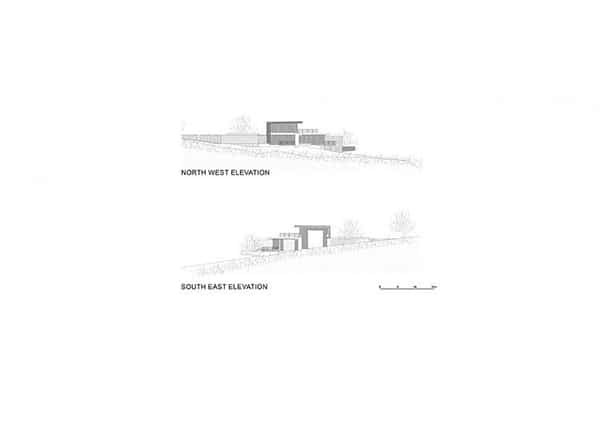 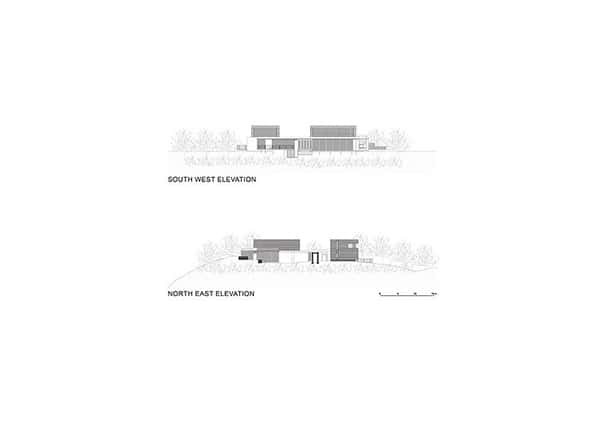 Cantilevered structures such as the pool and elevated timber decks where allowed to protrude beyond the building lines and demarcated destructive zone to allow indigenous planting to grow below.